The recent rise of the independent neighbourhood coffee roaster means that more and more people have access to high quality, freshly roasted coffee. 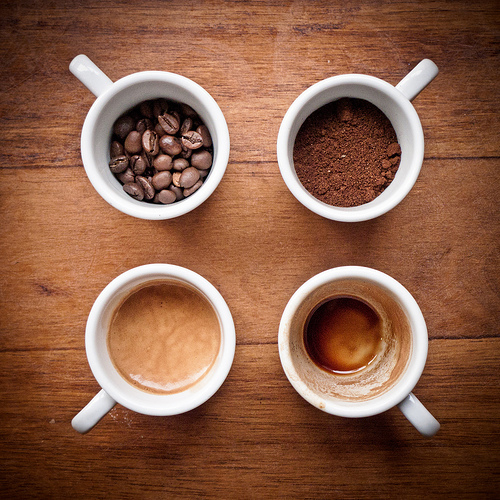 But, once you have chosen a delicious coffee to sample and got it home – what do you do with it? Fresh roasted coffee is essential to a superb cup of coffee. And purchase your coffee in small amounts. INVEST IN A GRINDER, you can thank me later, and belive me – you will be thanking me… grinding your own coffee has the biggest impact on your cup. DO NOT buy those silly little grinders with spinning blades, they are a waste of time and money. 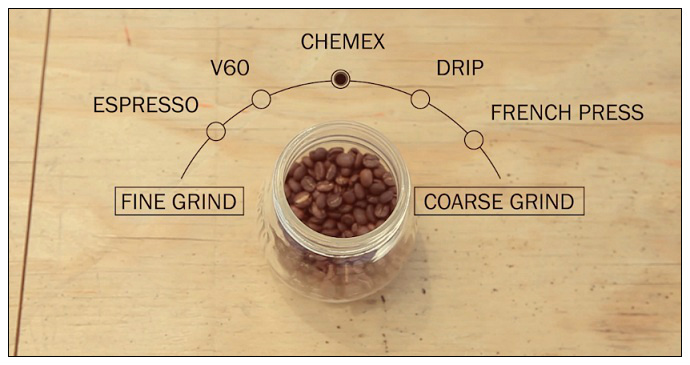 A burr or mill grinder is preferable because all of the coffee is ground to a consistent size. If you normally grind your coffee at home with a blade grinder, try having it ground at the store with a burr grinder. You may be surprised at the difference! Do not underestimate the importance of the size of the grind to the taste of your coffee. Before using the coffee, try rubbing some of the grounds between your fingers so that you can ‘feel’ the grind and become acquainted with the differences in size. Use the proper amount of coffee. A general guideline is 1 to 2 tablespoons of ground coffee for every six ounces of water. This can be adjusted if it is not to your taste. Most people find that when 20% of soluble solids are extracted from the coffee grounds, the brew has the best flavours. Be sure to check the ‘cup’ lines on your brewer to see how they actually measure and it is good practice to weigh the water too, this way you can get a good idea of your coffee to water ratio. If it is all abit confusing, there are some great free apps to make it all very easy. The amount of time that the water is in contact with the coffee grounds is another important factor affecting the taste of your coffee. In a drip system, the contact time should be approximately 2 – 4 minutes. If you are making your coffee using a cafetiere, the contact time should be 4 minutes… Experiment with the contact time until you can make a cup of coffee that suits your tastes perfectly. A finely prepared cup of coffee should be enjoyed as thoughtfully as it was brewed. Take a moment to smell the aroma. Take a sip and notice your coffee’s flavour. How to tell a bad brew, and stale coffee grinds. Firstly, if the bag is open – its probably stale – ground coffee will not last terribly long. So Invest in a grinder and store beans instead. The first thing to check is that your local roaster is putting the roast date on the packaging. Stale coffee has a particular smell which you should be able to pick up. Otherwise there’s a few visual points; if there is a lack of crema on the surface of your brew, then there is a chance it could be a touch stale. Also, if you use a cafetiere, you will notice that when you add hot water, the coffee grinds float to the surface to form a sort of crust… if you have stale coffee – the grinds will simply sink to the bottom. But fear not! Stale coffee is a great odour neutralizer, so put your stale coffee in the bottom of your kitchen bin and keep it fresh and dry. Buy beans, grind it yourself and store it in a airtight container in the cupboard.The freshness, aroma, oils and flavours are what makes a great cuppa cwaffee, very best on every roast to ensure you get the finest sourced coffee that is roasted to with absolute attention to detail, so I really hope the coffee is made properly too. The freshness of coffee is essential to making a good cup of coffee, if it is not fresh it will taste awful. Roasted coffee that is kept in a cool dry place in a sealed foil bag in whole bean form will stay fresh fgor up to 4 months before it will noticeably start to deteriorate. A common mistake is to store coffee in the fridge. Although cool and dark is good, a fridge is also damp and contains other smells and flavours. Because coffee is pourous it will absorb the moisture and become tainted by anything else which is stored in the fridge. Once opened, the beans will last for 3 – 4 days. So, to keep them at their optimum freshness, only open a new bag once you have completely used up the previous bag. Now go forth and enjoy!